Marine Medium Tiltrotor Training Squadron 204 was activated 1 May 1972 at Marine Corps Air Station New River, North Carolina as Marine Helicopter Training Squadron 204 (HMT-204). In the wake of the Vietnam War, Marine Aircraft Training Group 40 was deactivated, and Marine Medium Helicopter Training Squadron 401 and Marine Heavy Helicopter Training Squadron 402 were combined to form HMT-204. HMT-204 was originally a composite training squadron, training both CH-46 and CH-53 helicopter crews. In June 1988, Marine Helicopter Training Squadron 302 (HMT-302) assumed responsibility for CH-53 training, and CH-53s departed HMT-204. Shortly thereafter, HMT-204 received the Meritorious Unit Commendation for its support of the Fleet Marine Force during 1987. In October 1993, HMT-301 was deactivated and HMT-204 became the sole Fleet Replacement Squadron for the Marine Corps CH-46 community. 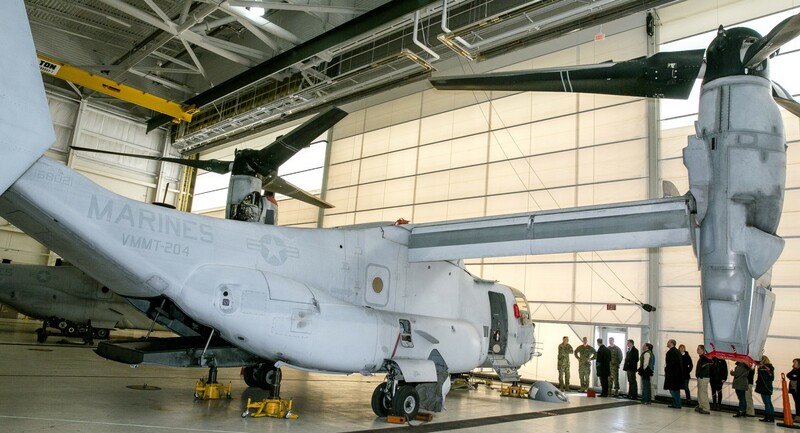 This made HMT-204 the largest CH-46E squadron in the Marine Corps. Also in October 1993, the Fleet Replacement Enlisted Skills Training (FREST) program was established. 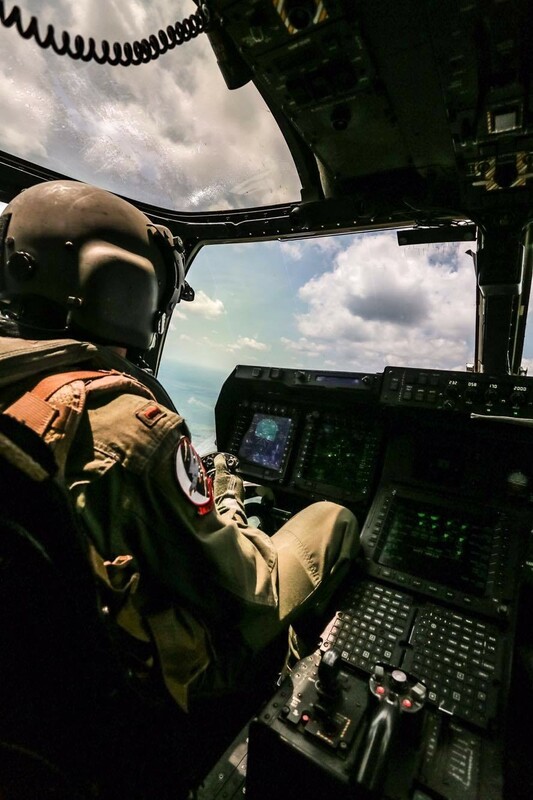 The HMT-204 FREST provided comprehensive technical training for officers and enlisted in the operation, maintenance, and repair of CH-46E aircraft and associated equipment. For its efforts in 1998 and 1999, HMT-204 was awarded its second Meritorious Unit Commendation for production of pilots and crew for the Fleet Marine Force. By that time, HMT-204 had trained over 1800 CH-46E pilots, over 275 instructor pilots, and over 450 crew chiefs. It also had amassed over 95,000 class A mishap-free flight hours, earning the Chief of Naval Operations Safety Award in 1977, 1994, and 1997. On 10 June 1999, HMT-204 turned a new page in Marine Aviation history when it was redesignated VMMT-204. 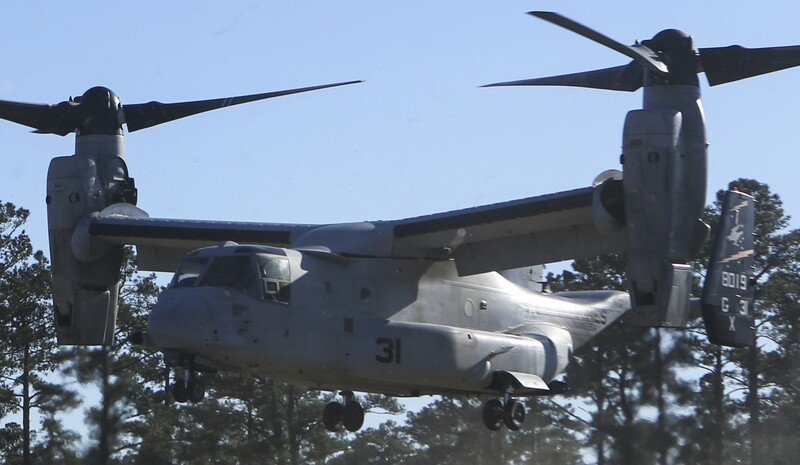 It was named the model manager for the MV-22 Osprey. 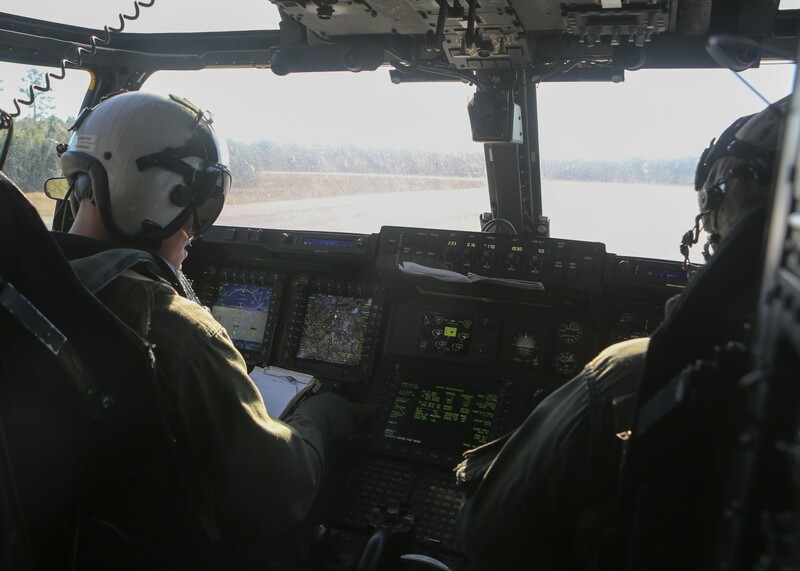 The unit rapidly began training pilots and supporting operational evaluation of the aircraft. Unfortunately, two mishaps in 2000 led to the grounding of the Osprey and of VMMT-204. 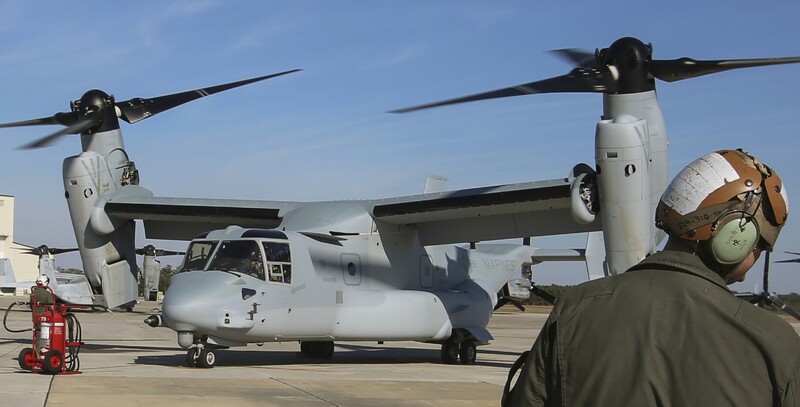 While the Osprey program was undergoing restructuring, VMMT-204 was reduced in size. 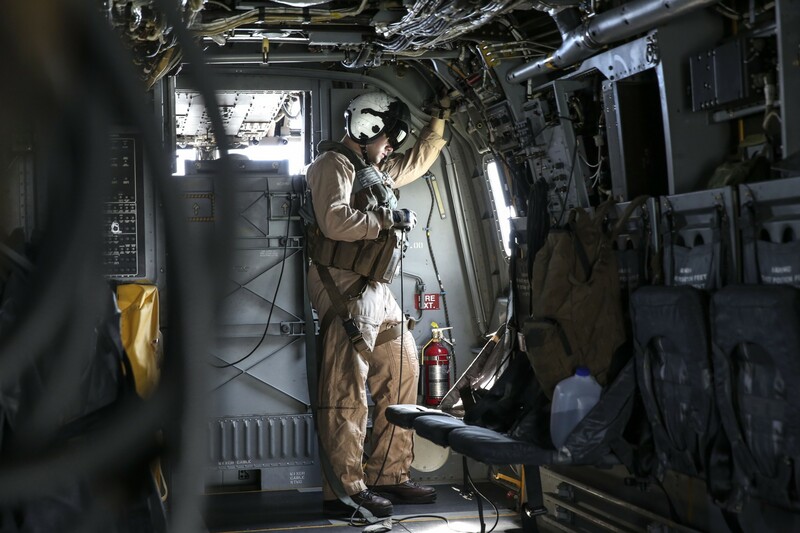 A small cadre of dedicated Marines laid a foundation for the eventual return to flight in the form of developing maintenance and flight training, as well as working on transition planning. 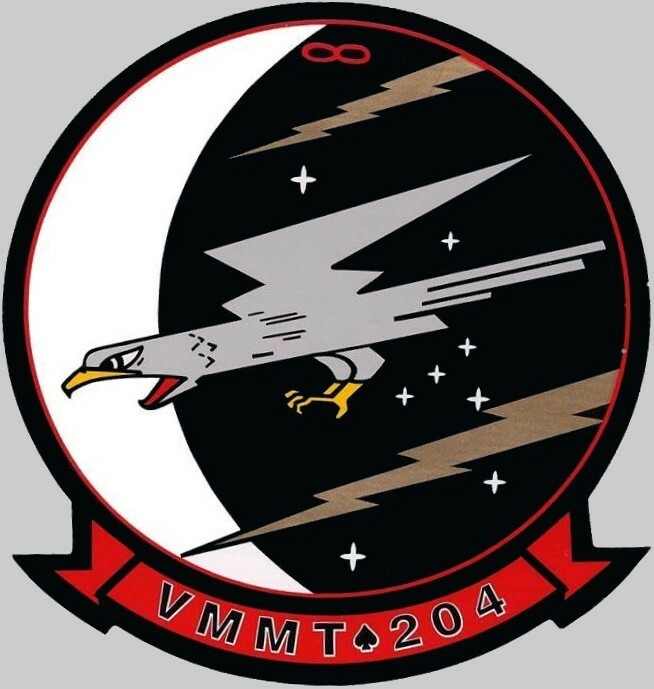 On 7 October 2005, years of hard work inside and outside of VMMT-204 culminated in the squadron's return to flight. 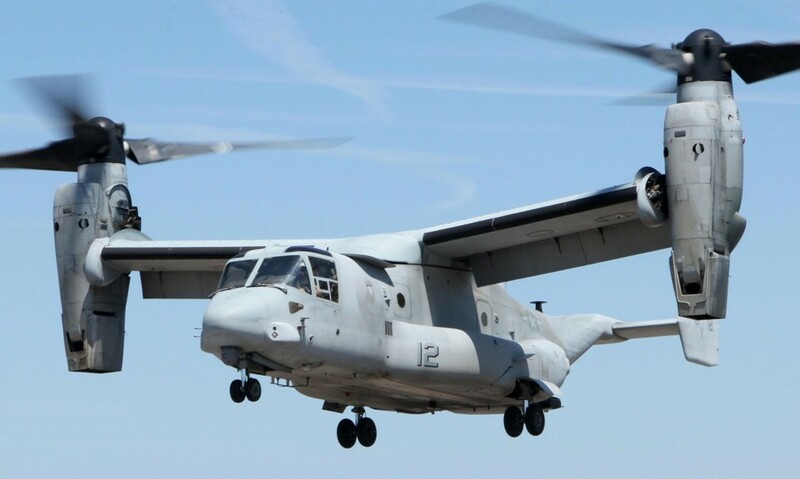 Since that time, aircraft with “GX” on the tail have flown over 2000 hours toward making a tiltrotor medium-lift force a reality. Marine Medium Tiltrotor Training Squadron 204 (VMMT-204) is the MV-22 Osprey training squadron of the United States Marine Corps. Known as the "Raptors", the squadron was originally designated Marine Medium Helicopter Training Squadron 204 (HMT-204) to train new CH-46E pilots and was officially redesignated as VMMT-204 on June 10, 1999. They fall under the command of Marine Aircraft Group 26 (MAG-26) and the 2nd Marine Aircraft Wing (2nd MAW). 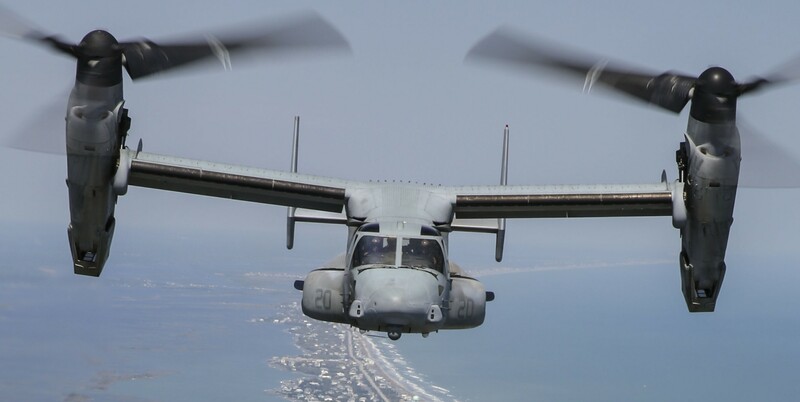 Provide training to both Marine and Air Force Osprey pilots, Marine crew chiefs and units in the use and maintenance of the MV-22 Osprey tiltrotor aircraft currently replacing the Marine Corps fleet of CH-46 and CH-53D helicopters. The unit was formed at Marine Corps Air Station New River, North Carolina, on May 1, 1972. Following the Vietnam War, Marine Helicopter Training Group 40 (MHTG-40) was deactivated and Marine Medium Helicopter Training Squadron-402 and Marine Heavy Helicopter Training Squadron-401 were combined to form HMT-204. HMT-204 was originally a composite training squadron, tasked with training both CH-46 and CH-53 pilots. In January 1986, the commanding officer of HMT-204 accepted the first fleet model of the CH-46E Survivability, Reliability and Maintainability (SR&M). In June 1988, HMT-302 assumed responsibility for training all CH-53 pilots and the last CH-53 departed HMT-204. On 9 November 1988, HMT-204 was awarded the Meritorious Unit Commendation (MUC) for meritorious service in support of Fleet Marine Force (FMF) units during 1987. In October 1993, HMT-301 was deactivated and HMT-204 became the single site Fleet Readiness Squadron for the entire Marine Corps CH-46E community. As a result of this transition, HMT-204 earned the distinction of being the largest CH-46E squadron in the Marine Corps. Additionally, October 1993 saw the establishment of the Fleet Replacement Enlisted Skills Training (FREST) Program. 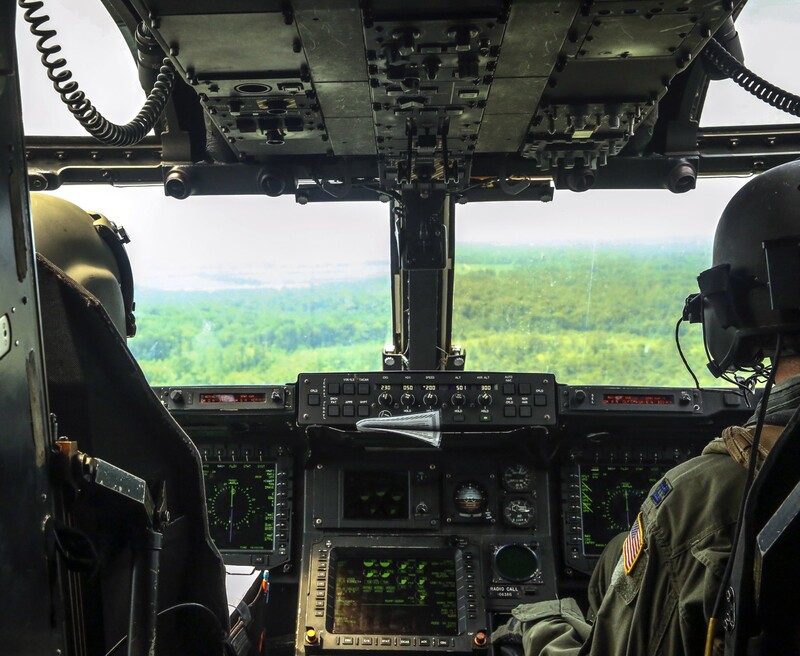 HMT-204 FREST provides comprehensive technical training for officers and enlisted in the operation, maintenance and repair of the CH-46E aircraft and associated equipment. 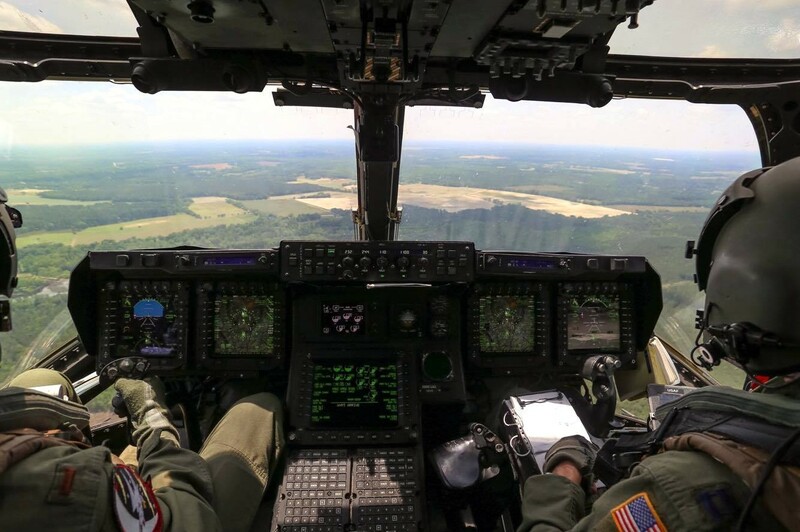 In fulfilling its then primary mission of training all CH-46E pilots and crew chiefs, HMT-204 has trained over 1,800 CH-46E replacement aircrew (basic, refresher, modified refresher and conversion pilots), over 275 instructor pilots and over 450 crew chiefs. 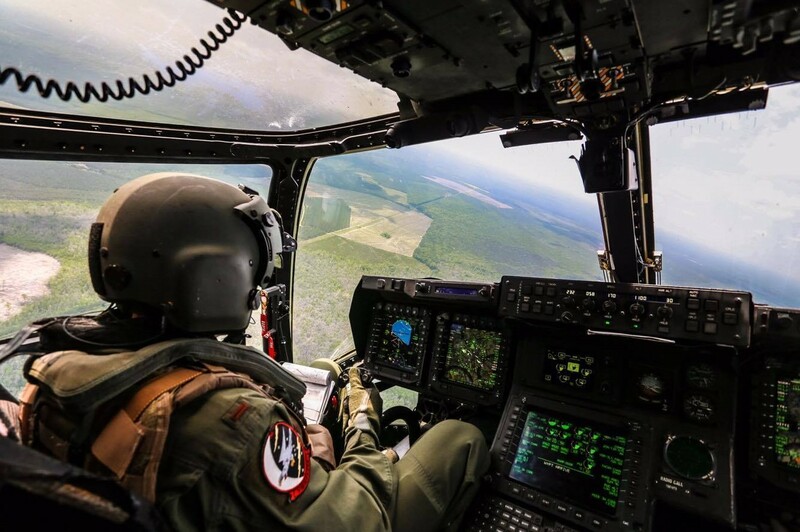 Additionally, over 100 AV-8B pilots have completed the vertical flight familiarization syllabus, in the CH-46. In December 1995, HMT-204 broke new ground for training pilots and crew chiefs in night formation, night vision goggle operations, terrain flight, navigation and formalized aircrew coordination training. 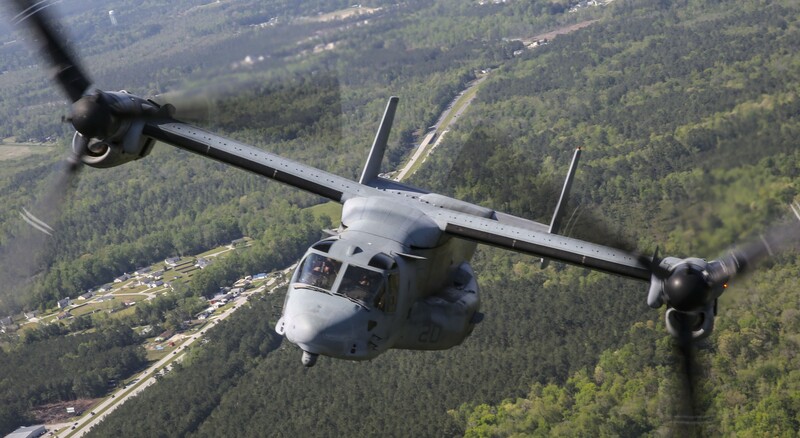 Since being commissioned, HMT-204 amassed over 95,000 CH-46 class "A" mishap-free flight hours. In recognition of this significant achievement, the squadron has been the recipient of the Chief of Naval Operations Safety Award in fiscal years 1977, 1994, and 1997. In February 1999, HMMT-164 was tasked to become the Marine Corps’ Fleet Replacement Squadron for the CH-46E. 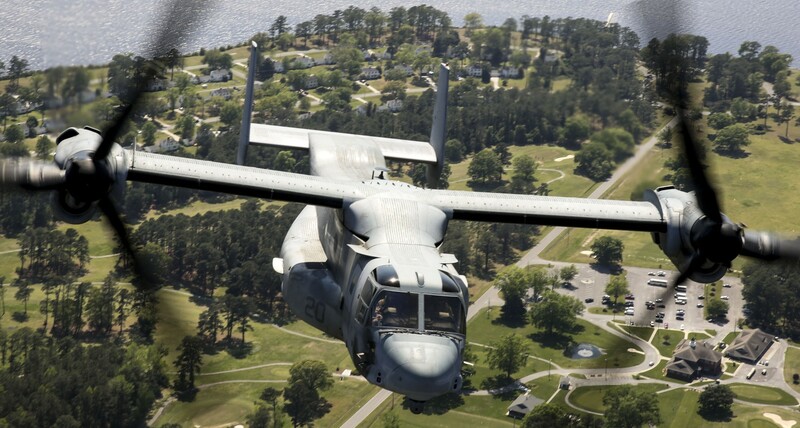 VMMT-204 received in April 1999, from Raytheon Systems Company, a new motion-based operational flight trainer (OFT) to train Marine Corps and Air Force instructors to fly the Osprey. The OFT will provide the pilot with computer-generated horizontal and vertical visual scenes within a 24-foot dome. Both out-of-window visual scenes and forward-looking infrared imagery are made possible by the OFT's six-channel visual-display system. 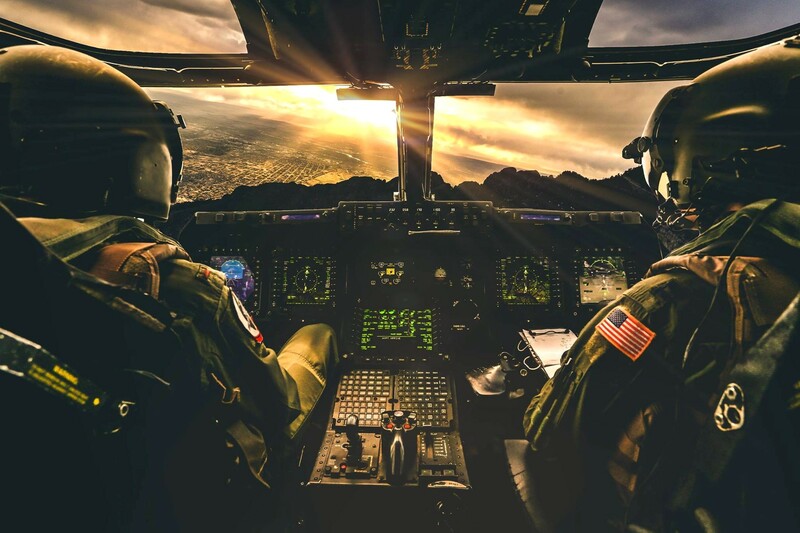 Its full range of motion also allows pilots to get "a real feel" of both acceleration and deceleration and gives them the opportunity to train in a broad spectrum of simulated environments. 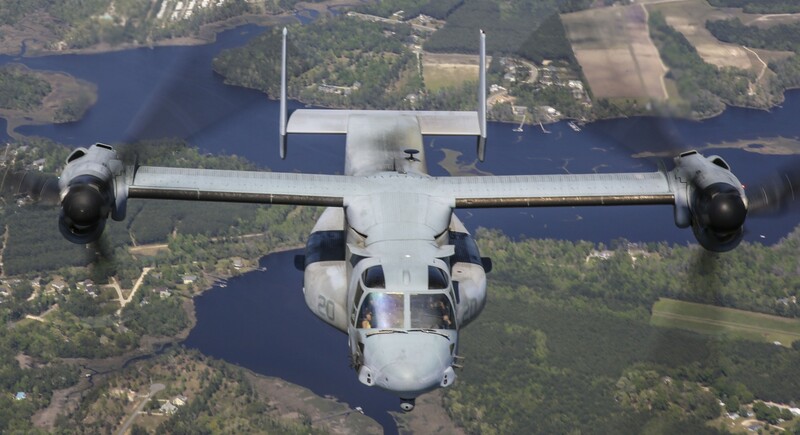 In 1999, the squadron became Fleet Replacement Squadron for MV-22 "Osprey" tilt-rotor pilots and aircrew. 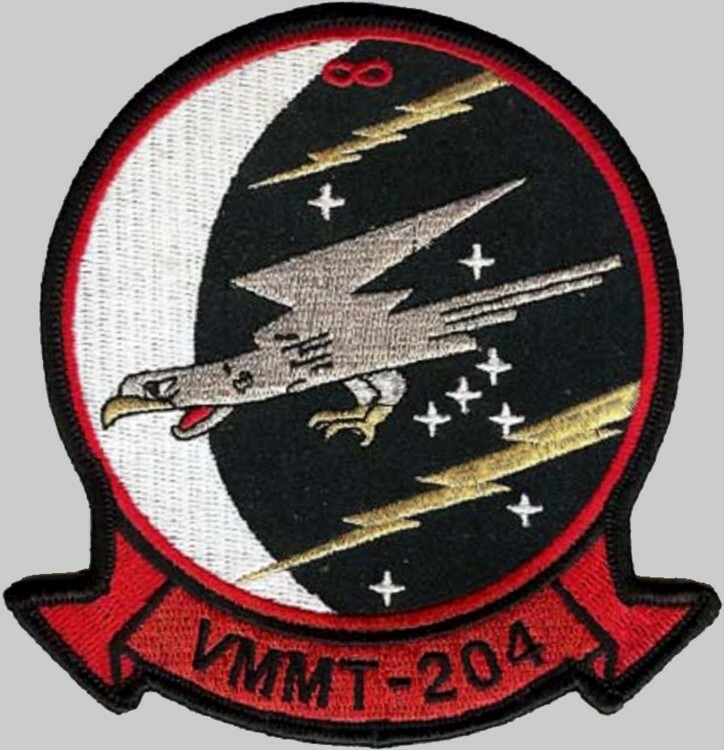 The change of aircraft meant a change in designation, so HMT-204 was re-designated VMMT-204. 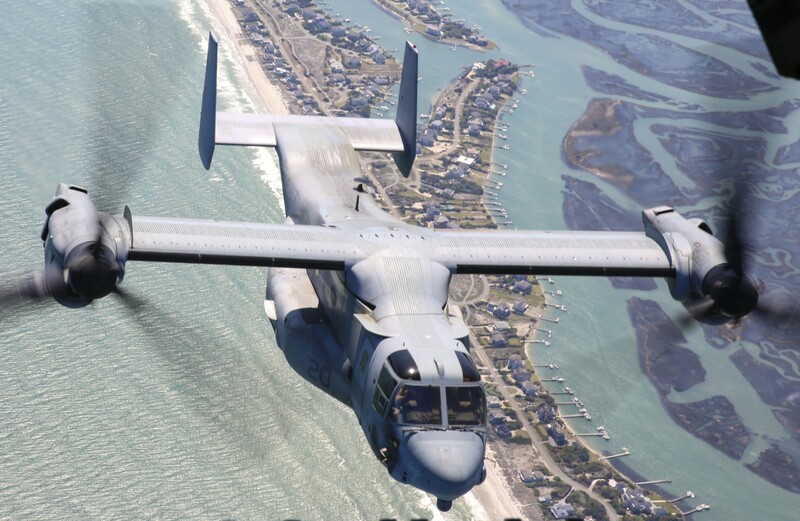 On March 12, 2000 VMMT-204 accepted its first MV-22 Osprey. 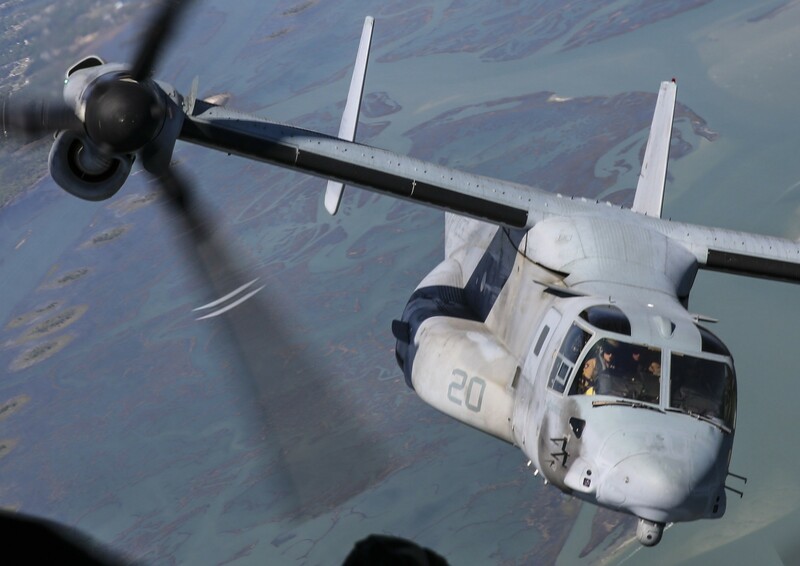 The squadron conducted MV-22 flight training until December 2000 when a fatal mishap caused USMC leadership to ground the Osprey for its three-year "return to flight period." VMMT-204 resumed MV-22 flight operations in 2005 in support of the Marine Corps activation of deploying MV-22 squadrons. 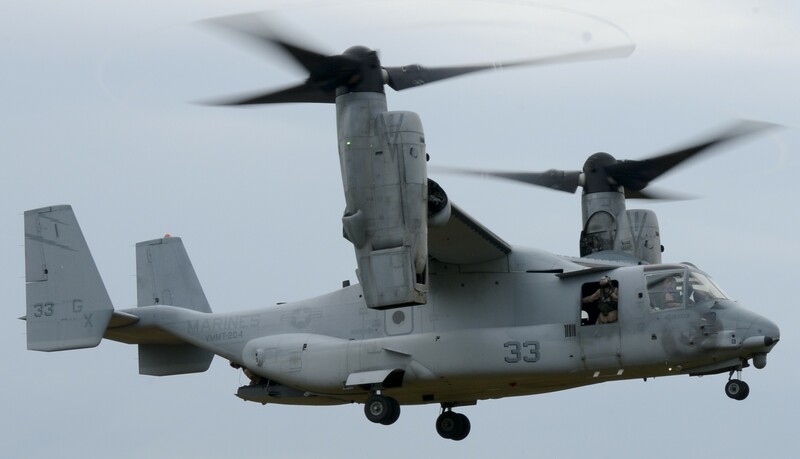 As of the end of 2007, VMMT-204 has trained over 150 MV-22 pilots for the first three Marine Corps MV-22 squadrons, and the first USAF CV-22 squadron. 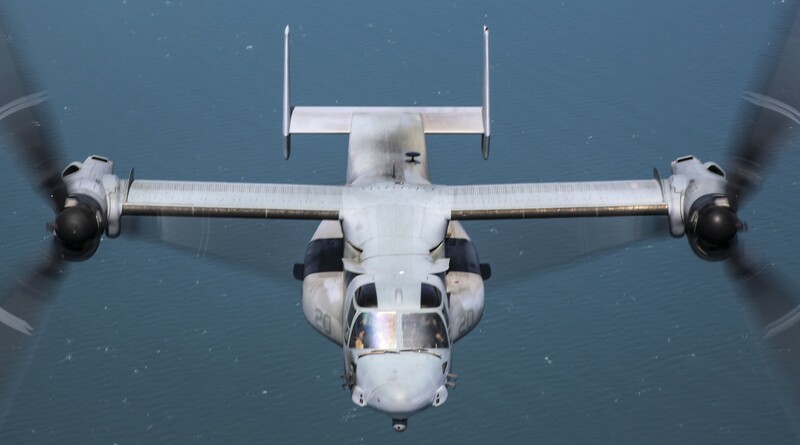 VMMT-204 currently operates the block A, B and C versions of the MV-22 - the block A aircraft preceded the reliability upgrades designed into the block B version, getting delivered to warfighting squadrons first. 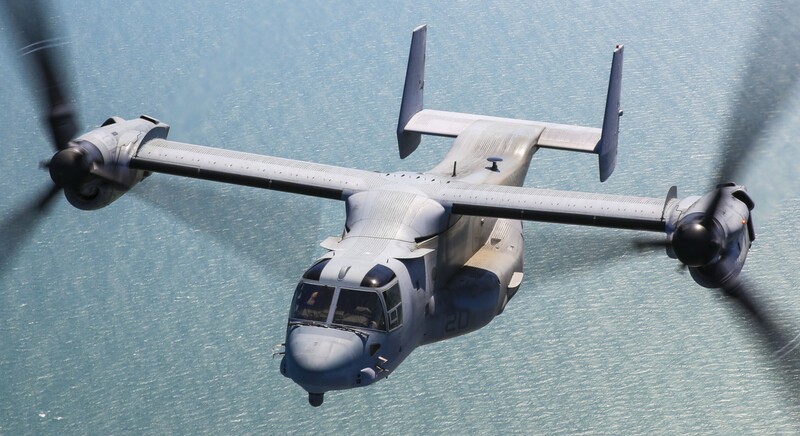 Although the block A aircraft is less reliable and less logistically supported than the newer aircraft, VMMT-204 has been able to complete its training requirements. At various times in the squadron's history, up to 6 of the block A aircraft have been used a "parts birds" to support the remaining flyable aircraft. On February 25, 2009, the first Block A aircraft was inducted into the "A to B" mod line. 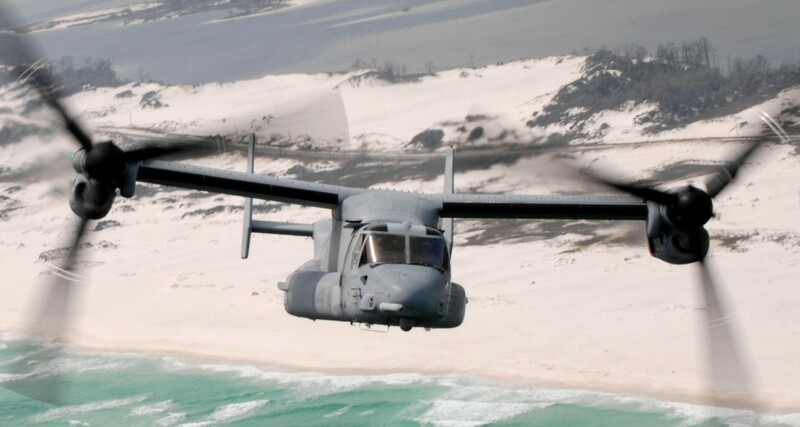 In 2017 VMMT-204 received the first Block C Osprey.